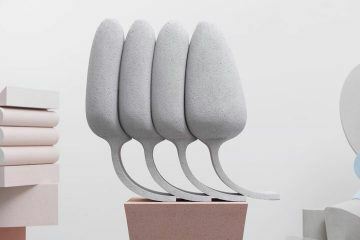 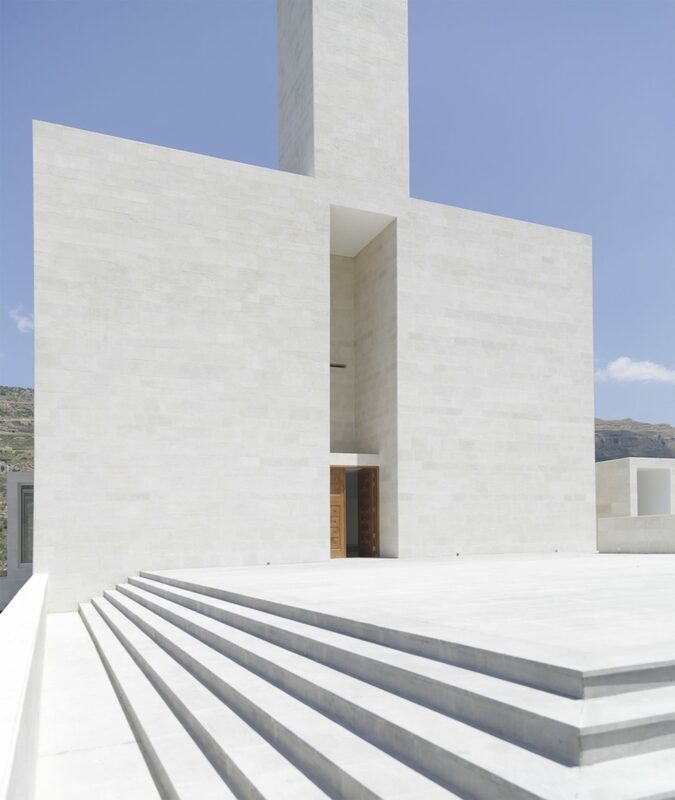 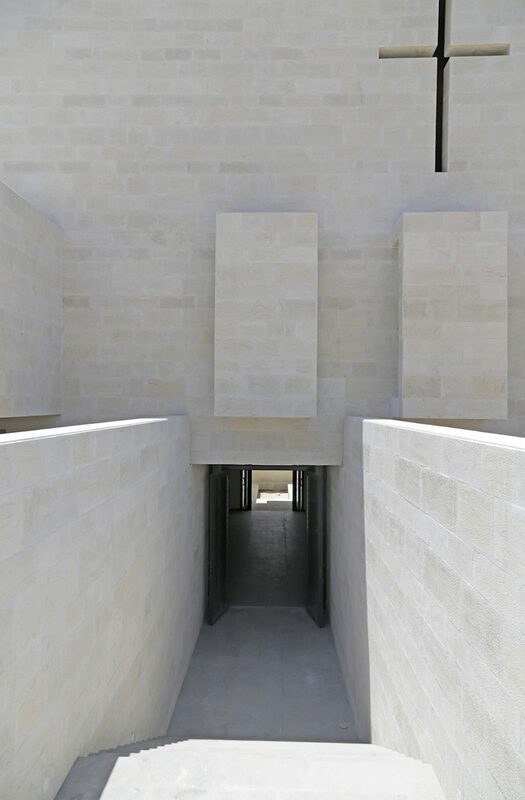 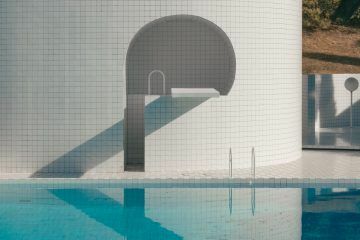 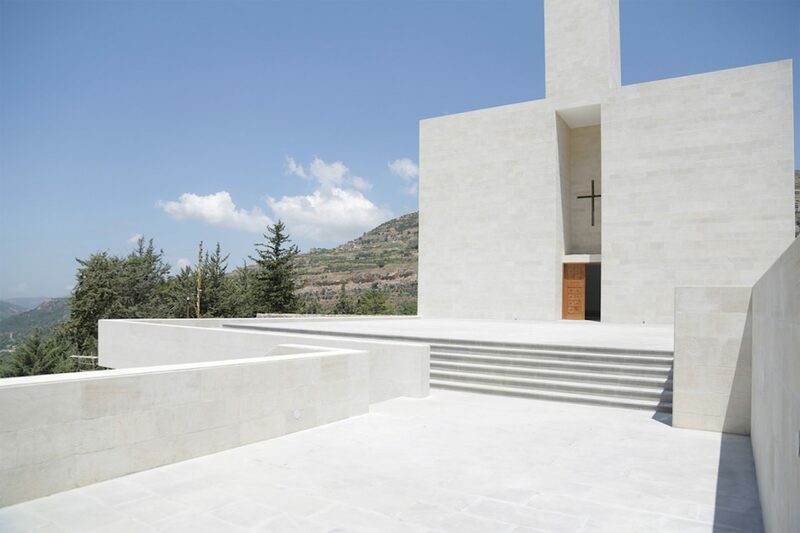 Paris-based architect Maroun Lahoud designed a white stone-clad church firmly nestled into the landscape of Shouf, Lebanon. 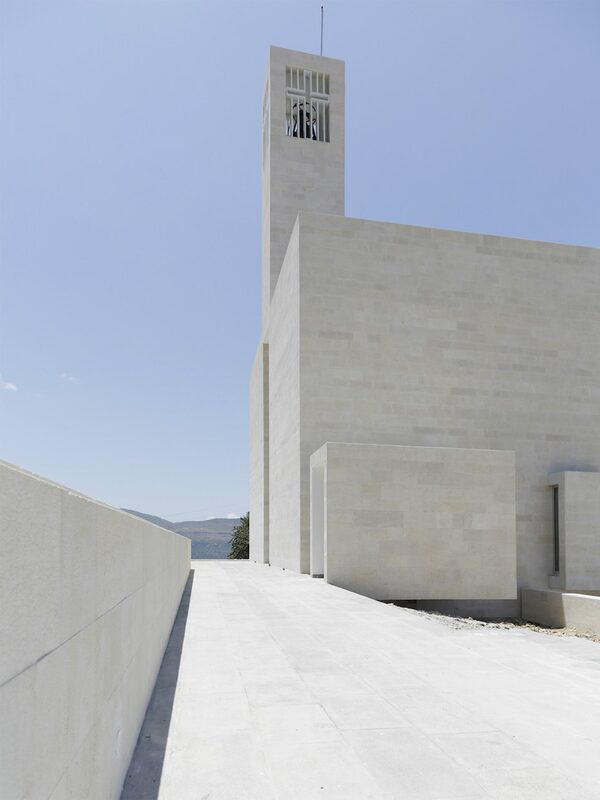 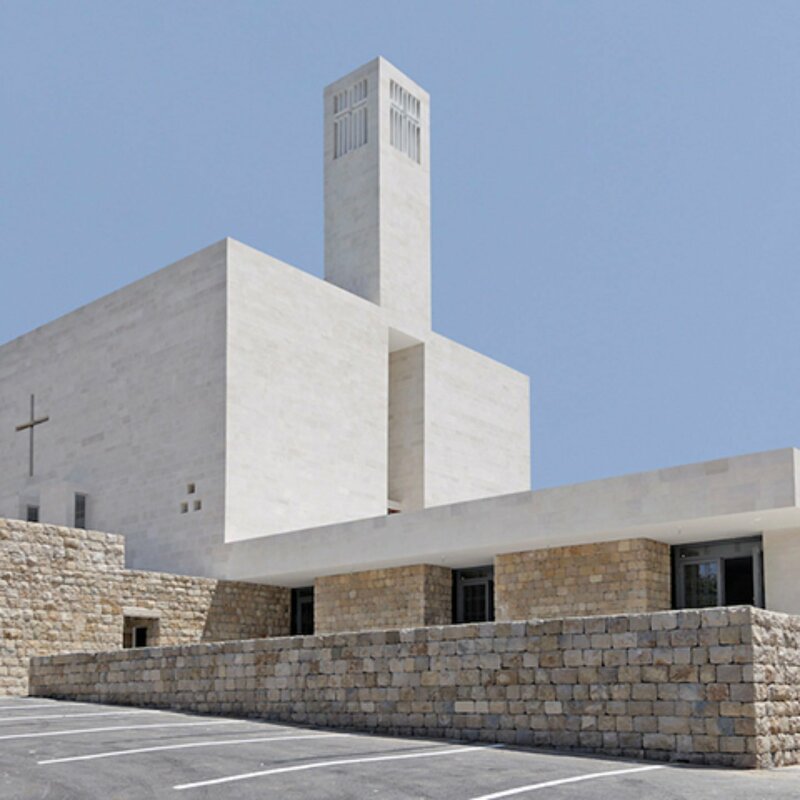 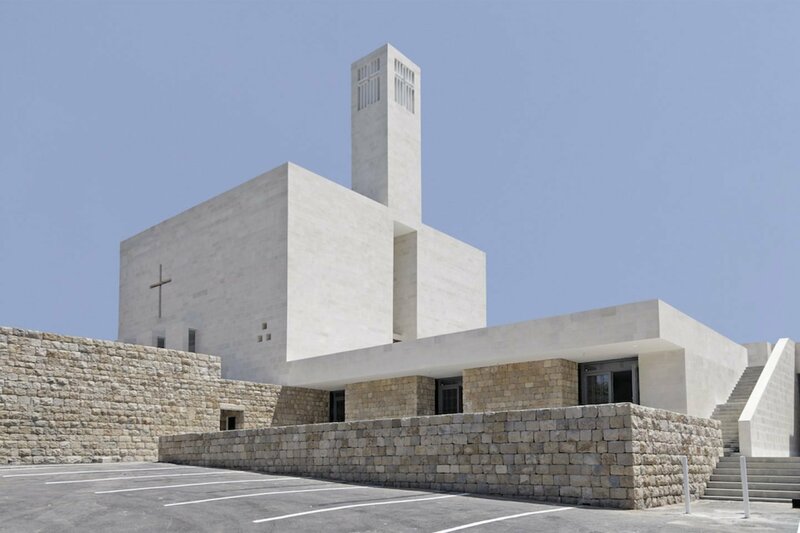 “Due to its location and the contrast of its materials, the project tends to create a new focal point in the Shouf’s valley of Gold.”Built on a base created to reflect the cultivated terraces typical of the region, the church consists of a large hall and multiple annexes. 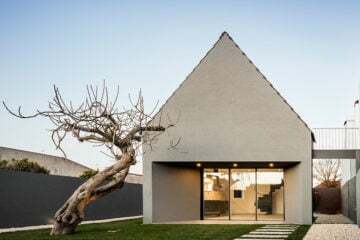 The dry stone walling framing the building was extracted from both the site and the houses demolished in the village during the war. 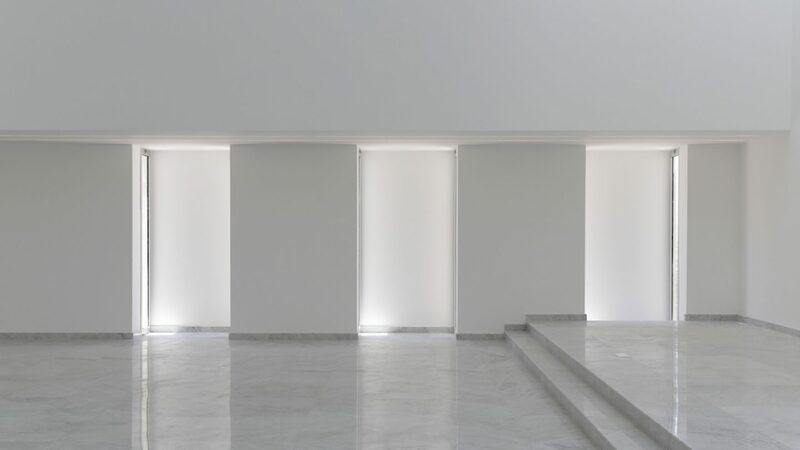 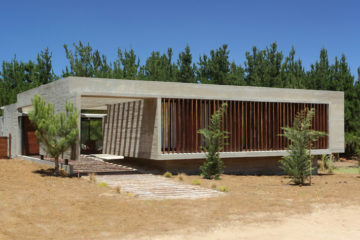 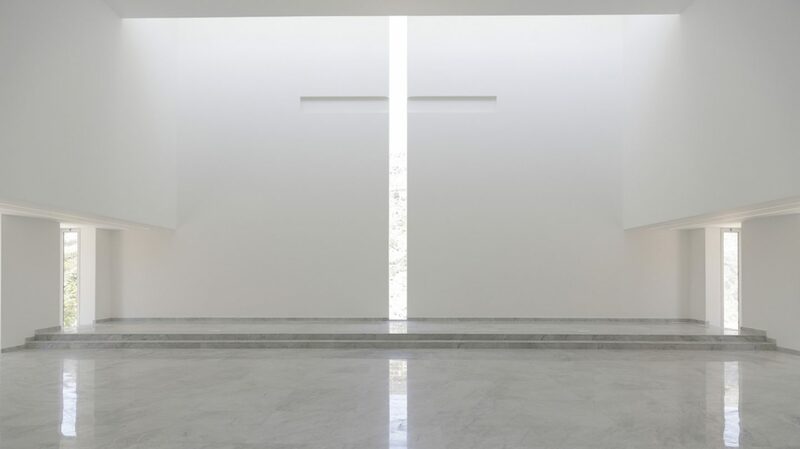 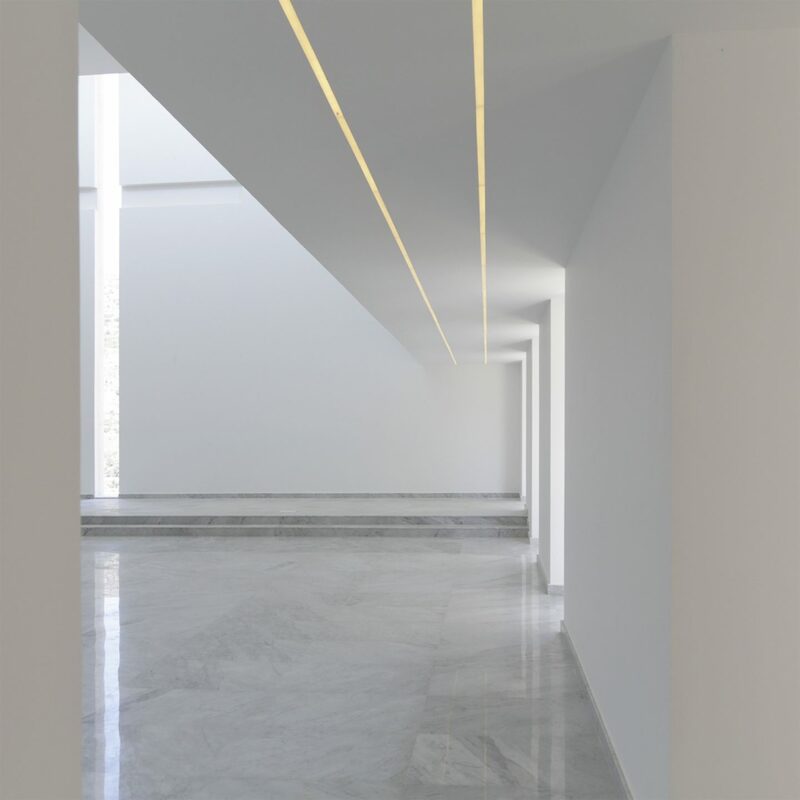 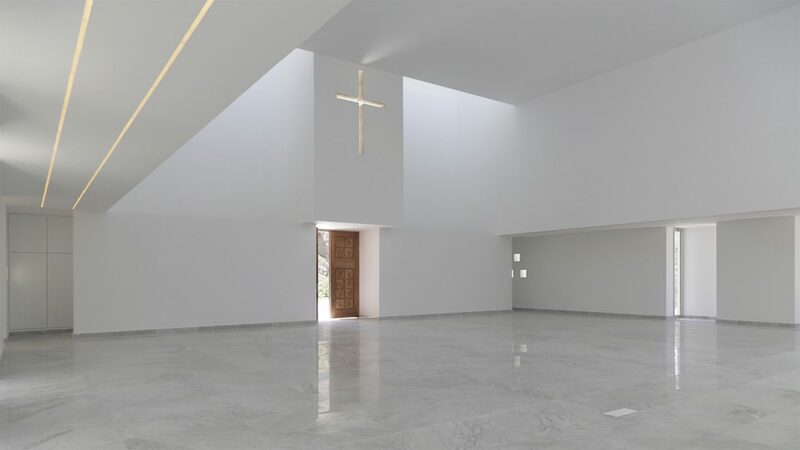 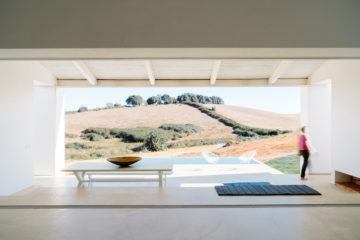 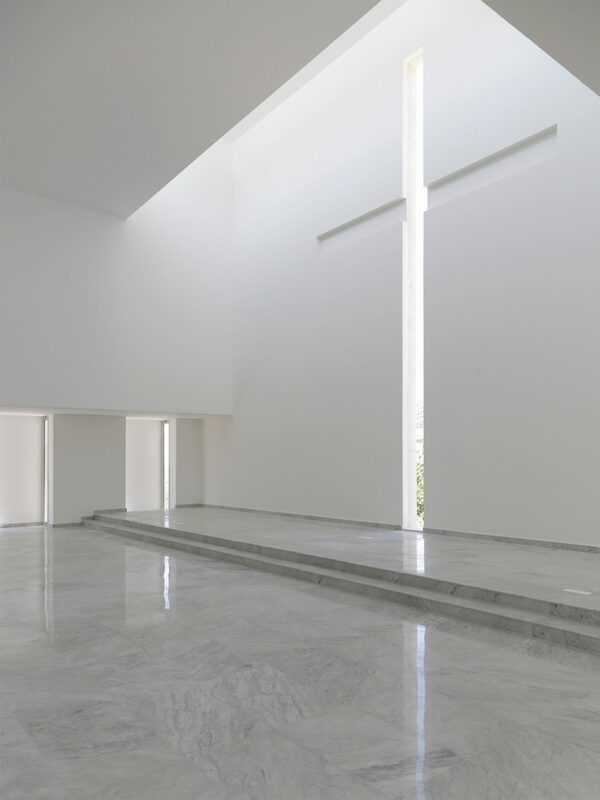 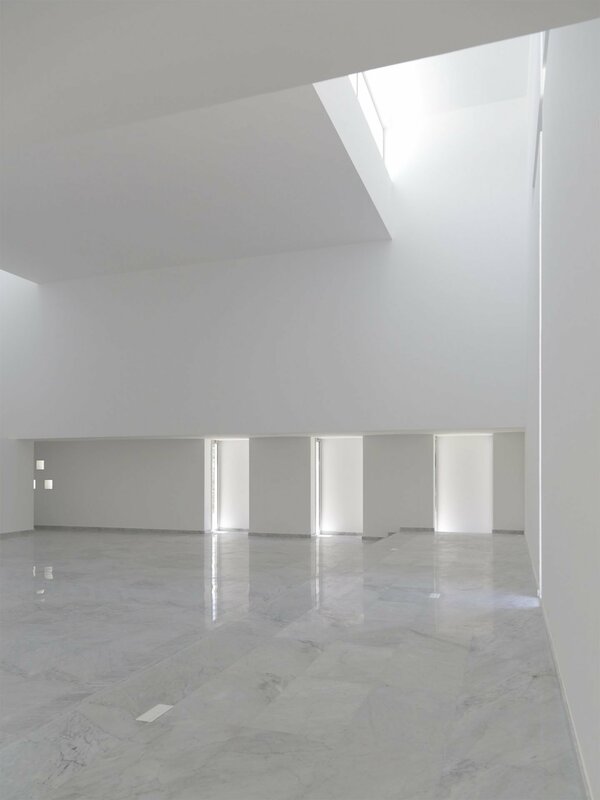 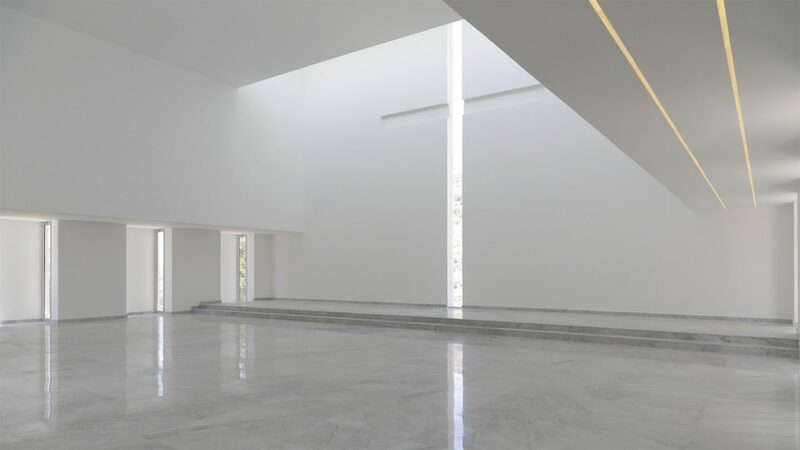 The church’s interior – marked by a wide, flat roof – explores indirect lighting techniques, enhanced by a gleaming marble floor. 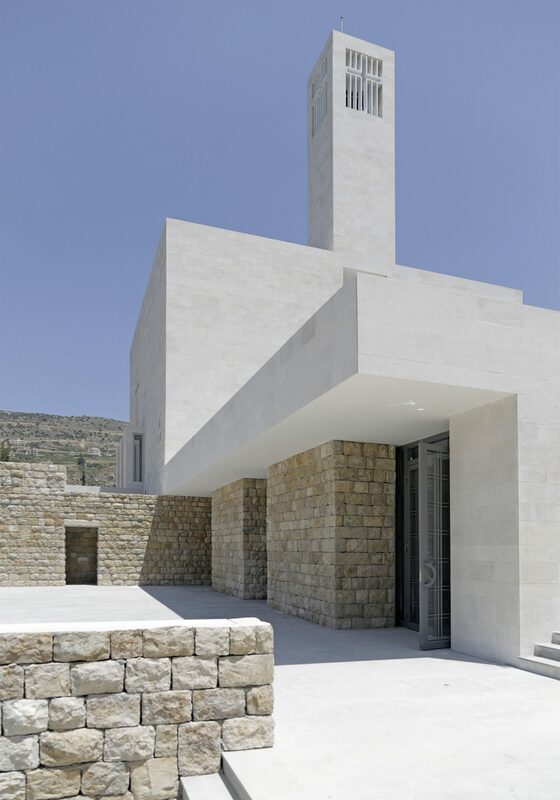 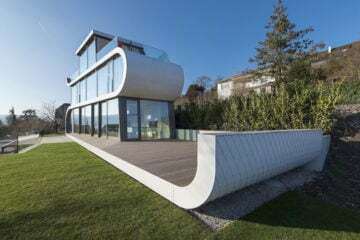 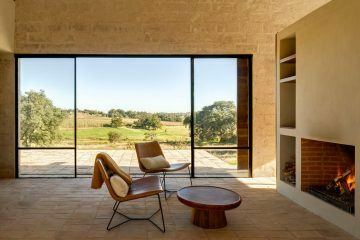 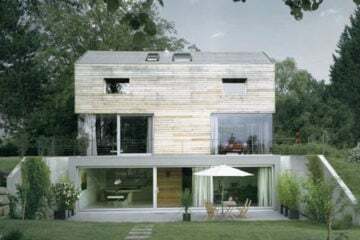 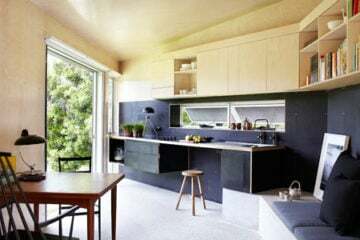 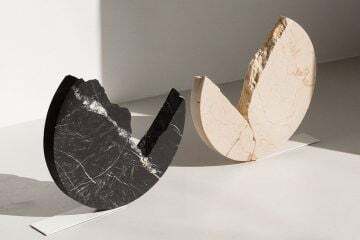 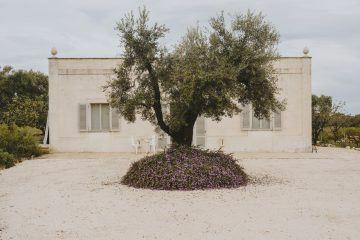 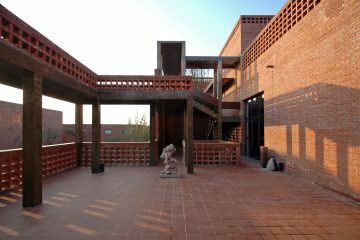 “Due to its location and the contrast of its materials, the project tends to create a new focal point in the Shouf’s valley of Gold,” states the architect.